Delhi University will release third cut-off list 2017 on Friday. Students can log on to DU’s website du.ac.in to check the list of different colleges. Delhi University will release third cut-off list 2017 on Friday. Students can log on to DU’s website du.ac.in to check the list of different colleges. After logging on to the website, students will get two options - ‘UG Admissions 2017- (Entrance Based)’ and ‘UG Admissions 2017-(Merit Based)’, from where they can check the cut-off for admissions. The admission process at Delhi University colleges under the second cutoff list is still going on. For morning colleges, students can complete the admission process between 9pm to 1pm and the same can be completed between 1pm to 5pm for Evening colleges. The Sri Ram College of Commerce will close admission for BCom (hons) in the third list for general and OBC candidates. The college had already closed admission for Economic (hons) for General candidates after the first cutoff list. Many colleges such as Hans Raj, Ramjas, Kirori Mal and Sri Venkateshwara are still left with seats in most courses and the third cutoff is likely to see a dip. 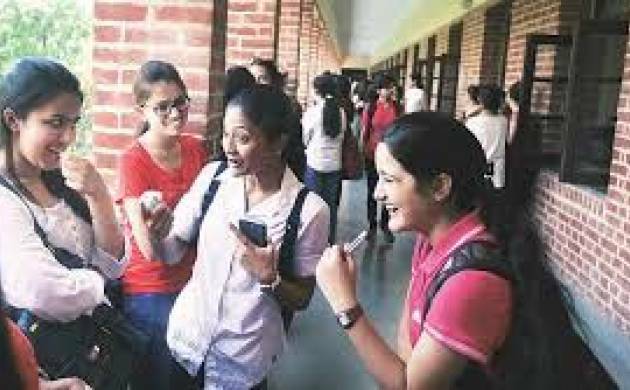 For the BCom (Hons) course, SC category students need have 91.25 per cent, ST -- 84 per cent, persons with disabilities -- 87.25 per cent and Kashmiri migrants -- 87.50 per cent. For BA (Eco Hons), SC category students require 94 per cent, ST -- 91 per cent, persons with disabilities -- 94 per cent and Kashmiri migrants -- 94 per cent. "Candidates are advised to contact personally for completing the admission process on any day, during the admission schedule for second cut-off, between 9 am and 1 pm, with prescribed documents", said a release issued by the college.